When Forrest was born, he wasn’t breathing, was completely unresponsive, lifeless and blue in colour. He was immediately ambulanced to the Royal Sussex County Hospital in Brighton where, after an incredible 30 minutes of trying, staff successfully managed to resuscitate him. He was given a 50/50 chance of survival and only a 1/8 chance of not suffering from any brain damage. Forrest’s consultant spoke to us about a new treatment, the ‘cooling technique’ where a baby’s body temperature is reduced to a hypothermic state over a 3 day period, giving the brain time to slow down and repair cells more easily before being ‘warmed up’ again. It was a really difficult time and we felt completely helpless, staying by his incubator, unable to even touch him but incredibly Forrest made a full recovery. Even the consultants were amazed at how positively he responded. Forrest is now a very happy, healthy, funny, loving, thoughtful boy. We cannot thank the Trevor Mann Baby Unit enough for saving his life. They are a phenomenal team and without their expert care and attention, he wouldn’t be here. We are so incredibly grateful and owe them everything. Tilly was born at 24 + 5 weeks on 28th January 2014. She weighed 360 grams (13oz) when she was born and was the smallest baby that the TMBU had ever looked after. Tilly spent 143 days in the TMBU and SCBU before coming home. 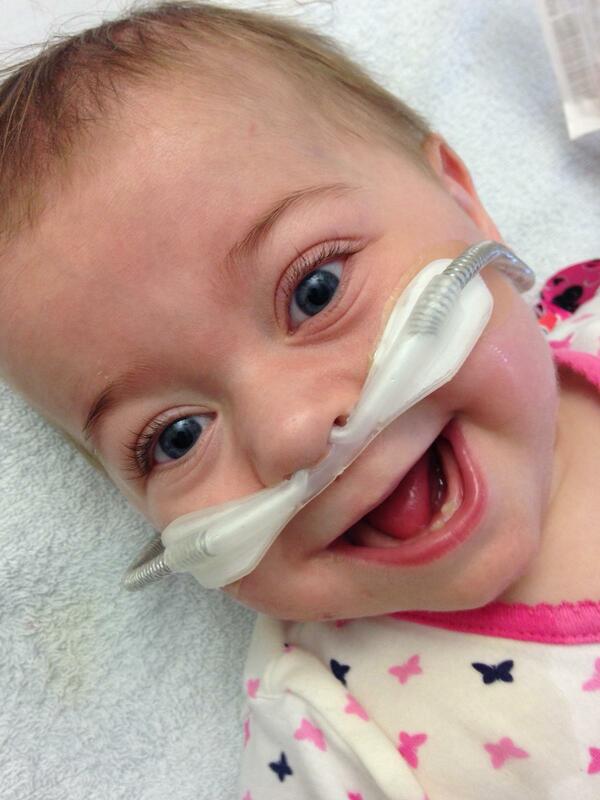 She was at home for 6.5 months, on home oxygen, and did amazingly well – she was cheeky & made us laugh every day. Unfortunately, Tilly picked up a virus in January 2015 and was admitted back into hospital. 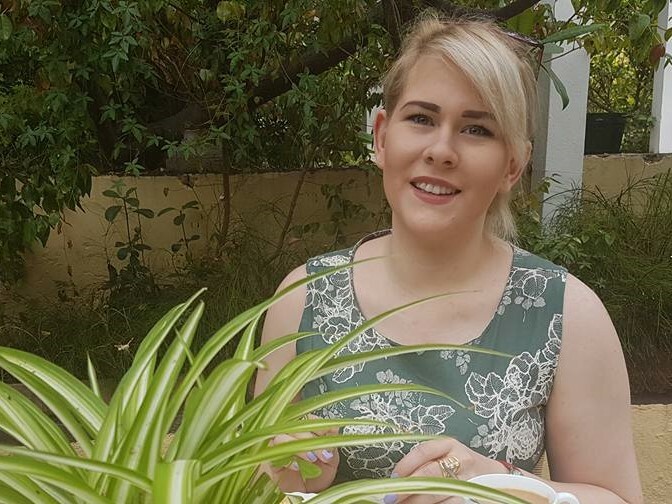 She spent the next 10 months in a few different intensive care and high dependency units, but sadly passed away on 1st November 2015 at the age of 21 months following further complications. 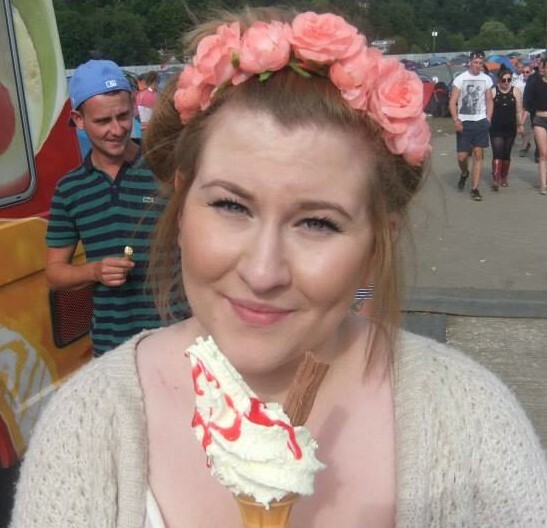 We will always remember Tilly as a happy girl with the most infectious smile – even when she was going through the most difficult times, she managed to brighten up our lives with her raspberry blowing & she most definitely lived up to the meaning of her name ‘mighty in battle”. We would not have had the precious time with Tilly had it not been for the staff at the TMBU and SCBU and we will be forever grateful for that. Samuel’s story written by his Mum, Julie. 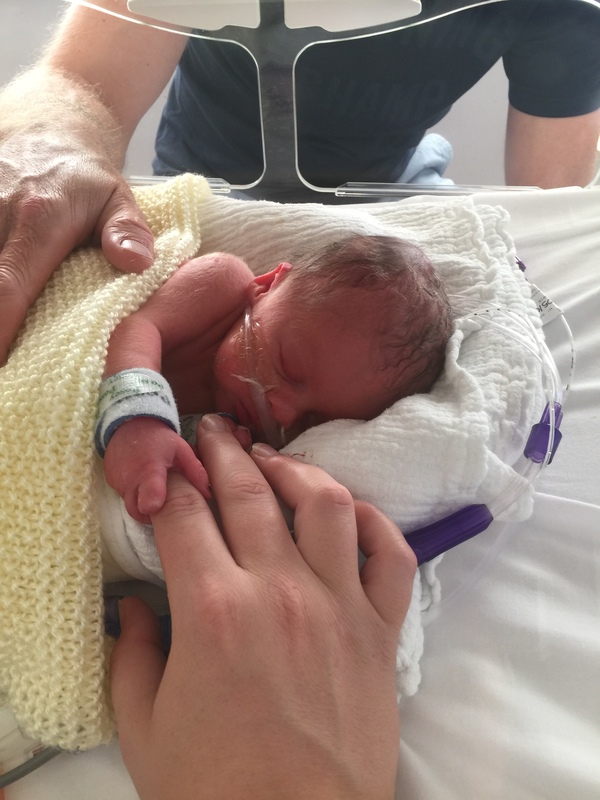 Samuel was born at 36 weeks in Worthing Hospital in February 2014 weighing 6lb 3oz. He struggled with various health problems after he arrived and was admitted to Worthing SCBU when he was 5 days old. He was unable to maintain his oxygen levels that night and by the morning he had become acutely unwell – having seizures and sustained episodes of not breathing. He was resuscitated in front of us whilst we looked on helplessly, and then stabilized on a ventilator although his seizures continued and required further treatment. The Neonatal Retrieval team arrived to transfer him to TMBU. The staff were excellent in caring for Samuel (and us) in the turmoil and uncertainty of not knowing what was wrong with him for almost a week. He endured many procedures including a lumbar puncture, cerebral function monitoring, EEG’s and a MRI Brain Scan. They then found out he had a rare form of meningitis and encephalitis caused by the Parecho virus and he was moved to the Royal Alex Children’s Hospital to continue his recovery. Samuel is now a happy and healthy young boy, despite battles with respiratory difficulties and developmental and speech and language delays that are probably the result of his neonatal experiences. He brings us so much joy and we will never forget all that TMBU have done for our family. Samuel’s story written by his Dad, Jim. In November 2010 I felt like I was catapulted into another world when our daughter was born at 33 weeks and taken into SCBU. I felt helpless and lost while trying to be strong for my wife. The second time in February 2014 was worse with our son as he was admitted to TMBU with Parechovirus Meningitis & Encephalitis. That was a whole different level than before and looking back I don’t know how I managed to hold it together but somehow I did. I faced some of my darkest days in that time but am so grateful for all the staff that were there for us, without them I don’t think I could have coped. For those dads who are going through similar times, you are not alone. Stay strong. There are groups like the EBA and others who can help put you in touch with Dad’s like myself who have emerged through the other side. Luke was born at 38 weeks weighing 2.14kgs (4lb11oz) by emergency caesarean section, after a normal, uneventful pregnancy. At a few hours old, we were told the devastating news that Luke was very poorly and potentially had a heart issue which would require surgery. 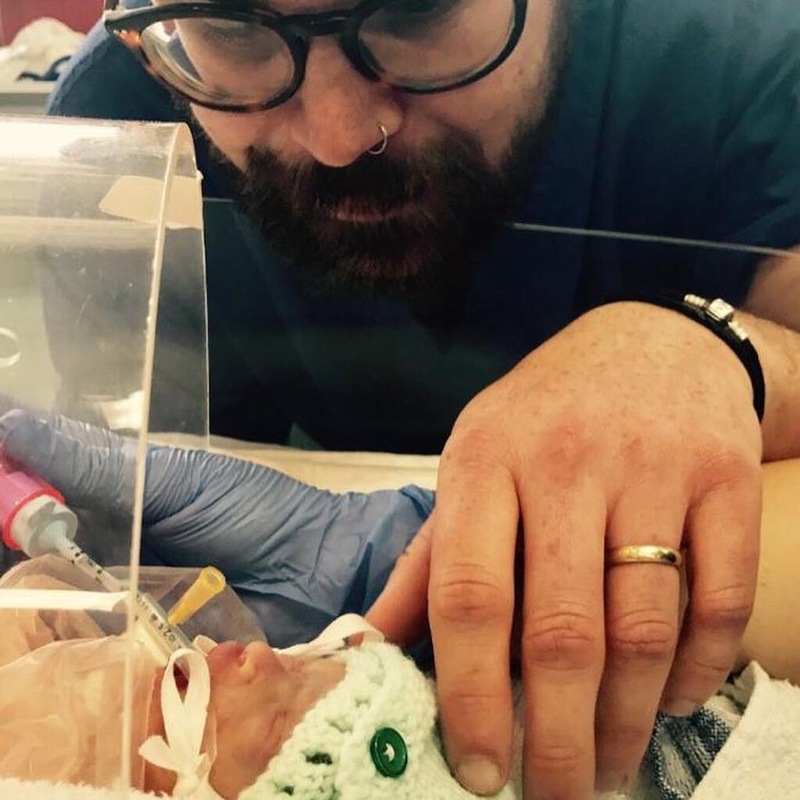 He was transferred from The Trevor Mann Baby Unit at The Royal Sussex County Hospital in Brighton to The Evelina Children’s Hospital in London for tests and to see a Specialist. These tests later established that Luke, didn’t have a heart issue requiring surgery but had Intrauterine Growth Restriction which resulted in the complications noted at birth. 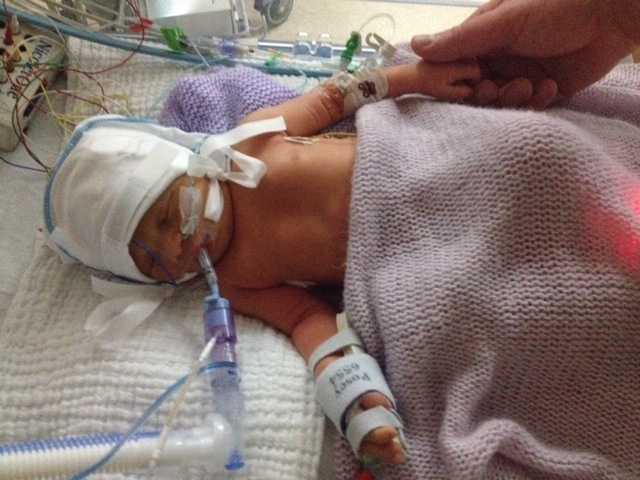 Once stabilised, Luke was transferred back to the Trevor Mann Baby Unit for continued care and monitoring. Once he had sufficiently improved, he was transferred to the Special Care Baby Unit at The Princess Royal Hospital in Haywards Heath. After being on a very emotional roller-coaster lasting 15 days, Luke was finally allowed home once his sats had come up to acceptable levels and also having regained and exceeded his birth weight. We returned to the unit every other day for a couple of weeks for weight and blood checks, after which, he was then discharged to be seen as outpatient in clinic. We have had a few health issues since but now Luke is now a happy 9 year old boy. Lewy was born in Eastbourne at 30 weeks in April 2007 weighing 3lb, suffering from a blood infection, gut infection, low blood pressure and bleeding on the brain. 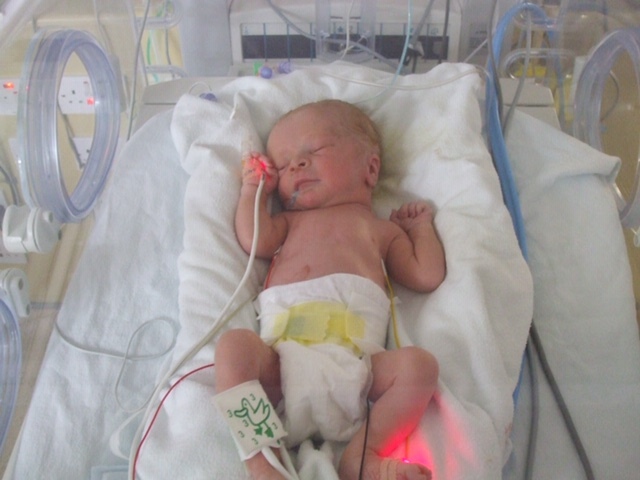 It took the neonatal consultants from Brighton 6 hours to get him stable enough to take him to the TMBU. He received a blood transfusion on the journey to Brighton. He made a slow but steady recovery until he got an infection on day 10 and stopped breathing, being resuscitated while we watched – helpless! He stayed in the TMBU for 3 weeks receiving the highest quality of care and a further 3 weeks in Eastbourne SCBU. He has been unaffected by his early start, making plans to play professional golf after becoming the youngest player to get a hole in one at the Royal Eastbourne at the age of 6. Nova’s Story written by her Mum, Lauren. In May 2017 my daughter Nova was born at 25+2 weeks gestation. I always knew I had a high risk of premature labour or miscarriage due to having my cervix removed because of cervical cancer in 2015. However never in my wildest thoughts did I think I would have my daughter 15 weeks early. I had a fairly straight forward pregnancy (apart from being very closely monitored with 2 weekly appointments with my obstetrician) so when my waters ruptured at 24 weeks I was terrified. I managed to not get an infection during my 5 day admission onto the pre natal ward and had my routine steroid injections to help progress Nova’s lungs in case she was born early, luckily I didn’t go into labour, so when they discharged me I was rather relieved. I was booked in for an appointment every week to check Nova’s heart rate and my infection markers and had a course of antibiotics to take at home. 3 days later I went to the toilet to see that I was bleeding, off we went back to the hospital. Deep down I knew I wasn’t going to leave the hospital pregnant this time and my suspicions were correct. After a very trippy night on the labour ward (due to a magnesium sulphate drip) I woke up feeling really ill. I had about 3 doctors come into my room and tell me my daughter was going to be delivered that day and to call my husband. 4 hours later I was taken into the operating theatre and given a lot of information about babies born so early, I felt completely numb and terrified by what was about to happen. Nova was born by Caesarian I’d never seen such a tiny, helpless perfect person. Thanks to the TMBU Nova came home 1 week before her due date, on oxygen. I cannot thank the staff enough for looking after my baby and getting her home safely so we could be the family we’ve always dreamed of. People who started off as Nova’s health care professions soon became lifelong friends. Nova’s Story written by her Dad, David. A friend of mine said what you’re going through will soon be a distant memory. At the time I couldn’t focus on anything other than the moment I was in. Now, almost 2 years on, it does seem a little distant. But the memories will never leave. And to be honest, I don’t want them to. From the first moment I saw Nova my whole world changed. Laying there in all I could describe as an oven roasting bag with tubes and wires everywhere was our beautiful 25weeker daughter. The happy ‘Dad Life’ didn’t start as normal as you see everywhere. But what is normal? My Dad Life has been amazing, the things I saw in the TMBU over the 95 days have been real eye openers. My mental state was tested immensely and it was difficult to know what to say, how to act, what to feel. It’s drummed into us by society that as a Dad you need to be the leader, to stand strong and keep the family unit together. In times like this it’s even harder. You just want to break down and ask other Dads how they are. But you feel nervous and scared, you don’t want to look weak to the other ‘Alphas’. Then you think. No, this isn’t a wildlife documentary, this is life, we are all emotional and we need to pull together to get through tough times. It took me a while to start talking to the other Dads on the unit but when I did a huge weight was lifted. I urge any Dad who is going through this to just say hello to the others! You’re being strong for your partners and you’re probably hiding your emotions to look strong in front of them. But don’t, just let it out and talk. Cry with the other Dads there, the word beer helps. It’s a good icebreaker. Fancy a beer? Being a Dad is an incredible feeling. Being a Dad of a preemie is special. They say tough times are given to those that are built to handle them. It sounds weird, but I think it’s a gift. On the night of the 30th August 2018, following a normal day and an uneventful pregnancy, I went into labour more than 9 weeks early. After a long night of back pain and no sleep, I called the hospital who invited me in for a checkup and then surprised us by declaring I was 3cm dilated. I was given injections to delay my labour, so that I could have a series of steroids to help the baby’s lung development. As we had some time to prepare, the midwives arranged for us visit the Trevor Mann unit for a tour in advance of the baby’s arrival. The team on the unit were very kind and talked us through what to expect, showing us the three nurseries, the different incubators & equipment and explaining some of the possible different scenarios of having a premature baby. It was a very overwhelming experience, which left us emotional but reassured and gave us some insight into the reality of what was to come. Before the tour I had thought we would have a short stay in hospital after the delivery, but it was clear now that everything I’d imagined about having a baby was going to change. Six days later, after lots of starting and stopping of contractions, our beautiful daughter Henrietta arrived naturally, weighing 3lb 8. Hettie was immediately whisked up to nursery one, where she was checked, wired up and given a spot by the window. Nothing can prepare you for meeting your baby for the first time in an incubator, but I felt calm and safe knowing what we had learnt on our visit before she was born. Hettie was fortunate to be early but healthy, so it was now a matter of being patient, as she wouldn’t be able to leave TMBU until we had established feeding and she wouldn’t be able to begin feeding until she was at least 34 weeks old. Three weeks and a day after she was born we were signed off to go home. Those three weeks were the most emotional and challenging of my life, having to leave the most precious thing in the world to you, in the care of other people is not easy, but we couldn’t have been looked after by a better team. We can’t thank the team at the Trevor Mann enough for all they did for us. Henry arrived unexpectedly early in the summer of 2013. He was a relatively good size given he was born at just 30 weeks – 3lb 11oz – and we hoped he just needed to put on some weight before coming home. However, he developed severe breathing problems & ended up being in hospital for nearly 3 months – 79 days – both in TMBU & SCBU. He endured so many procedures – such as MRI scans, x-rays, blood transfusions, needles in his scalp & was ventilated on numerous occasions, including a midnight emergency transfer back to TMBU from SCBU. He had an operation on his diaphragm which finally seemed to resolve things and since then he hasn’t really looked back – aside from us having to resuscitate him 2 weeks after he came home. He is now at primary school and although the smallest member of our family, he has a big personality! Our beautiful twin girls Maisy & Molly were born on 29th Sept 2014 at The Princess Royal SCBU at 25 weeks. Both weighed 1 ½ pounds and required immediate medical attention. They were transferred to the Trevor Mann Baby Unit in Brighton. Both were very sick with a number of complications. Sadly, Molly’s complications were too much for her and Molly received her Angel Wings on the 3rd October 2014 at 4 days old. She lives on however in the heart of her twin sister Maisy who has gone from strength to strength with the help of the amazing hospital teams. Her stay on TMBU lasted 127 days, during which time she fought a brain bleed, lung hemorrhage, heart surgery and severe reflux. Just over 4 years down the line however and a few more hospital stays later she is enjoying life with little in the way of signs of her early battle. She certainly has the strength, courage and determination of both her and her twin sister. Without the love, care, experience and support of the TMBU and SCBU teams my family and I would never have managed to come through our darkest days in the way that we have. One of a twin, Carley was born at 32 weeks gestation, weighing 3lb 8oz. 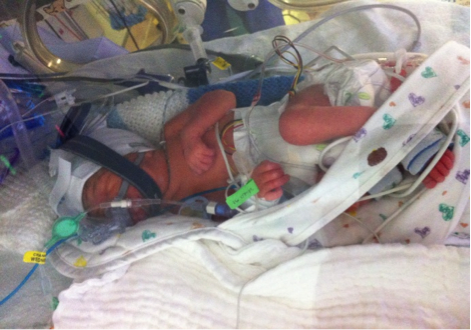 She was the smaller of the twins but unlike her sister no support to her airway was needed. Carley did however, have problems with maintaining her white blood count and required blood transfusions to correct this. This soon settled down and then the concentration moved onto feeding and putting on weight, along with maintaining her temperature. Carley was in the TMBU for 6 weeks. She is now a lovely and happy young lady. The EBA have previously funded 50% of the cost towards a blood analysis machine, meaning that the tiniest pin prick amount of blood can be analysed for potential abnormalities. 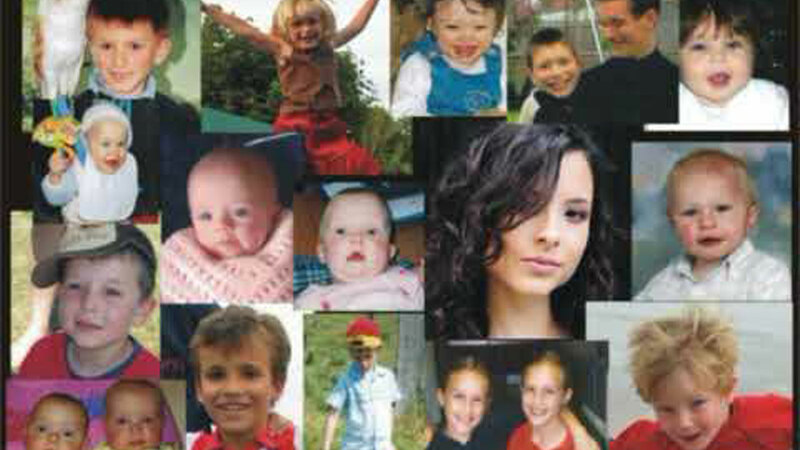 One of a twin, Tasha was born at 32 weeks gestation, weighing 3lb 14oz. 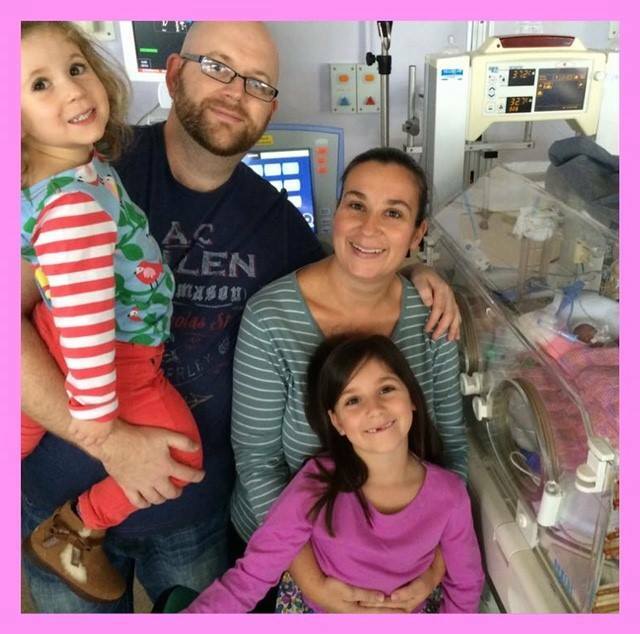 She needed intubation for the first 24 hours, then moved onto CPAP and finally oxygen. Tasha had a short spell of jaundice where she posed with the wonderful eye wear! The rest of her 6 weeks in the TMBU was taken up by learning to feed and putting on weight, along with maintaining her body temperature. Tasha is now a lovely and happy young lady. Any time spent on a SCBU unit is stressful, the EBA will always be there to supply comfort items for the parents to make their stay that little bit easier – even if it is only a cup of coffee and a biscuit for a quick bit of down time … it does make such a difference. Here is a short video about the incredible work of The Trevor Mann Baby Unit in Brighton, East Sussex. 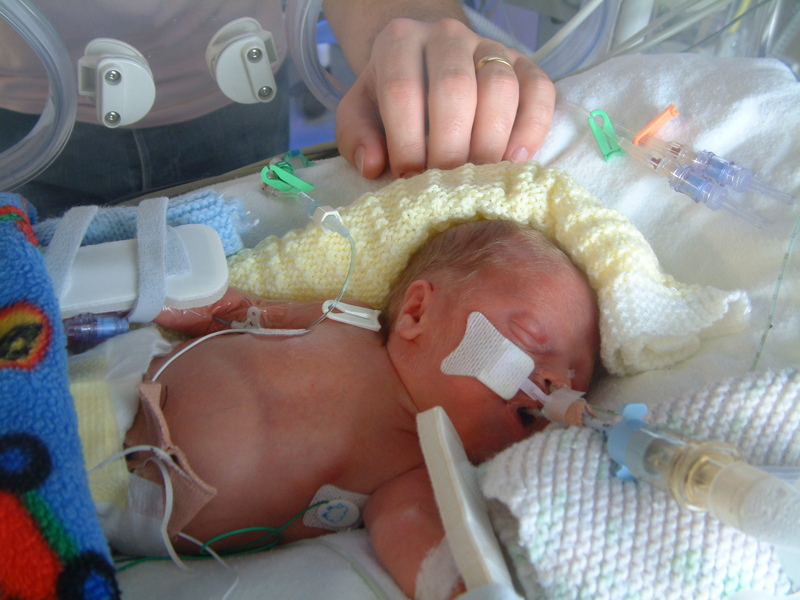 The Trevor Mann Baby Unit Is a specialist unit caring for premature and sick babies following their birth. The unit has twenty seven cots, nine of which are designated intensive care, eight for high dependency and the remaining ten for special care. Some babies may stay on the unit for only a day, others may be there for many months. The local health authorities of East Sussex, Brighton & Hove and West Sussex pay for the service provided. However, high quality medical and nursing treatment is very expensive and donations are essential to help buy additional equipment.